Every player who dabs into roulette should know how casinos profit from every game. The only way to do this is to know what house edge is all about. To have a better grasp on roulette games and how the entire process works, you can visit http://www.roulettephysics.com/roulette-bets-odds-and-payouts/. When playing roulette, the house edge is an important consideration. This is an element that confuses many people. In simple terms, the house edge is a casino advantage. This is considered as one advantage that casinos have over players. This edge is a guarantee that in the long run, a casino would profit. This could be easily referred to as an unfair payout. The house edge would differ depending on the kind of roulette wheel that you are playing at. Basically, the house edge would be computed based on the number of zeroes in the wheel. This is the primary reason why the house edge differs depending on the version of roulette that you are playing. It is easy to get the theoretical house edge. All you have to do is to divide the number of slots with zero with the number of total roulette slots. Since the number of slots will differ for American and European roulette, the house edge would be different. 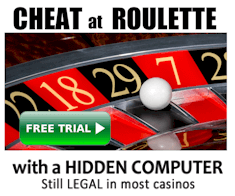 This is the most popular version of roulette and the oldest kind of the casino game. This game is also referred to as French roulette. In the wheel used in this version of roulette, there are 37 pockets. The pockets are the numbers that the ball could possibly land on. The numbers are either red or black in this type of wheel. In general, the house edge is pegged at 2.7%. This type of roulette is the one that has a double green zero. American roulette is only different because of the number placement and the existence of the additional zero on the wheel. This zero is also known as the “house number” It is called as such because it will increase the casino’s house edge. This type of roulette is deemed to have a higher house advantage. This means that a casino would have higher chances of making money from its players. Due to the addition of the double zero, there are 38 pockets in this type of roulette. American roulette is more popular in the United States. It’s hard to find this almost anywhere else except the U.S. This version of roulette is played because it has many fans. Another reason is that there are people in the US that encourage playing this game. House edge for this roulette version is 5.26%. From the house edge computation above, you would think that the percentage is too small. In fact, even the 5.26% house edge in American roulette does not seem to be significant enough. But when the transactions constantly take place, the house edge could easily eat up your entire bankroll. This is especially true for average players. It would be different for professional players who are using a strategy to win the game of roulette. Of course, it is also impossible for players not to win in any given game. These wins can be considered as a short term loss for a casino. But these are short term losses. To them, what matters is what happens in the long run. Given the house edge, the casino will be raking in profits from its players. You also have to remember that casinos do not consider players individually. Casinos think in terms of the volume of players in their casino which would eventually add up to a profit for the casino as a whole. A player would only be under the detection of the casino when it appears that he or she is a professional player. 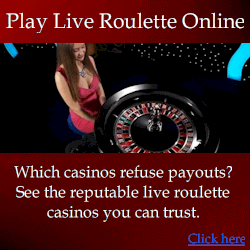 Many roulette players promote playing European roulette over American roulette. As outlined above, the reason is the fact that the house edge is lower for European roulette. In general, this would hold true. However, there are cases where the difference in house edge would no longer matter. This is applicable to players who are into using physics to know where the ball will end up. Advantage play using physics would be all about observing how the wheels move. Hence, the most important consideration is the predictability of the wheel not the house edge. For players who are engaged in what is known as advantage play, the difference even between the roulette versions would no longer matter. The ultimate goal in roulette is to choose the right slot. The house edge may affect your ability to win in a normal game. But, when you are in an advantage play, you will have better winning odds. By beating these odds, you would have higher chances in winning roulette. Needless to say, mastery of the techniques in advantage play would be in your best interests. Professional players can discard house edge since they could increase their odds of winning through their strategic gameplay. « Do I play American Roulette or European Roulette? Do I play American Roulette or European Roulette? Online Casino Bonus Comparisons – Should You Accept Bonuses?